Steel has very interesting advantages that you may need for your construction project or any other fabrication. 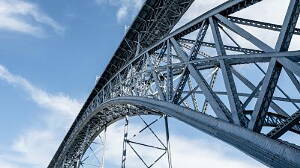 There are plenty of professionals keen to provide you with any steel material you might need, from structural steel, steel gales, steel beams or steel angles. The best steel fabrication companies in Gujranwala will also provide you with standard or stainless steel pipes, for example. Cost: if you are a bit worried about how much steel fabrication costs, you should know that it is one of the most competitive markets among all metal fabrication. This means a good price for costumers. Moreover, the cost has fallen since 1980. The price of steel will obviously depends on whether you order stainless steel , galvarized steel or standard one. Steel structures, due to the accuracy of steel components, allows a rapid construction. This leads too save costs and interest charges linked to reduction of the disruption for nearby areas. Structural steelwork are long lasting and they don’t aged as quick as other materials. It is a very versatile material. It is suistainable: as it is long lasting it doesn’t produce wastes as other materials. Also, it can be re-used over and over again without lacking quality. This makes steel one of the most peffered construction materials. How can I contact with the best steel fabrication companies in Gujranwala? At Infoisinfo we want to help you to get in touch with the best steel manufacturers, either structural steel fabricators or steel for other uses, for example perforated stainless steeal to fabric kitchen tools. For this reason, we’ve prepared a very complete list with contact information of the best steel suppliers in Gujranwala. In addition, you will find comments and valuations from former clients. MASHALL TRADING COMPANY (PVT) LTD. is located in Gujranwala, Pakistan. If you have any questions, please contact us. Company is working in Steel Products business activities. Bajwa Road Bajwa Colony Opp:Nisar Metal Works. Gujranwala. Punjab. Shabbir Street, Gala Kausar Fan, G.T. Road. Gujranwala. Punjab. 23, G.T. Road Model Town. Gujranwala. Punjab. Company is working in Steel Products business activities. ISHAQ JAMIL & COMPANY is located in Gujranwala, Pakistan. Hafizabad Road, Gala Darbar Qadria. Gujranwala. Punjab. Company is working in Steel Products business activities. JAVAID BROTHERS is located in Gujranwala, Pakistan. Bajwa Colony, G.T. Road. Gujranwala. Punjab. Company is working in Steel Products business activities. NASEER METAL IND. is located in Gujranwala, Pakistan. 77-79-C, S.I.E. No.2. Gujranwala. Punjab. Company is working in Industrial services, Steel Products business activities. Shafiq Brothers Steel Coatings is located in Gujranwala, Pakistan. Abdi Merher Wazir Street #11, Noshera Road. Gujranwala. Punjab. Company is working in Steel Products business activities. JUDGE STAINLESS STEEL INDUSTRIES is located in Gujranwala, Pakistan. Company is working in Overseas business, Import and Export agents business activities. MASTER STEEL INDUSTIES is located in Gujranwala, Pakistan. Steel Casting & Engg. Company is working in Industrial services, Steel Products business activities. Works is located in Gujranwala, Pakistan. If you have any questions, please contact us. Sheikhupura Road, Near Ishaq Cold Storage. Gujranwala. Punjab. Small Ind'l Estate No.1. Gujranwala. Punjab. Company is working in Communications, Steel Products business activities. Autotech (Pvt) Ltd. is located in Gujranwala, Pakistan. Company is working in Industrial services, Steel Products, Home and Garden business activities. Chatan Aluminium Ware is located in Gujranwala, Pakistan. Liaqat Road, Muslim Town. Gujranwala. Punjab. Khursheed Alam Estate Sheikhupura Road. Gujranwala. Punjab. Company is working in Industrial services, Chemicals, Steel Products, Plastic products business activities. Metalsco, Inc. is located in Gujranwala, Pakistan. Hide Market, Ferozewala Road. Gujranwala. Punjab. Company is working in Industrial services, Steel Products, Home and Garden business activities. Arif Metal Works is located in Gujranwala, Pakistan. Main Sheikhupura Road, Near Allied Bank. Gujranwala. Punjab. Street No.2, 4-Mominabad, Block-A, Noshera Road. Gujranwala. Punjab. Company is working in Steel Products business activities. CRYSTAL INDUSTRY is located in Gujranwala, Pakistan. Aziz Chowk (Pindi By Pass). Gujranwala. Punjab. 23, G.T.Road Model Town. Gujranwala. Punjab. Company is working in Steel Products business activities. ISHAQ SONS is located in Gujranwala, Pakistan. 99, Noshera Sansi Road. Gujranwala. Punjab. Company is working in Industrial services business activities. NAZIR SULEMAN STEEL CASTING (PVT) LTD. is located in Gujranwala, Pakistan. Climaxabad, off G.T.Road. Gujranwala. Punjab.